The College has set up a working group to look into alternative routes to higher education for students living in direct provision. The College has established a working group aiming to offer a Trinity undergraduate education to students living in direct provision by next September, The University Times has learned. 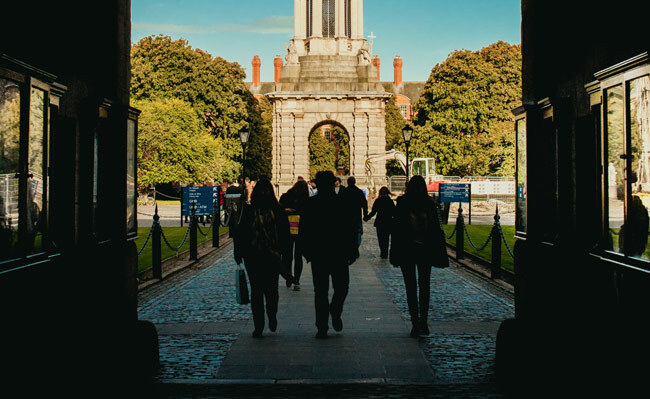 The working group will explore options for opening up College’s education to those in direct provision, after a memorandum was presented to University Council on Wednesday by Trinity College Dublin Students’ Union (TCDSU) President Shane De Rís. The memorandum, seen by The University Times, outlines the current situation for students in direct provision and the need to create routes for them into higher education. Speaking to The University Times, De Rís said that the memorandum was met with “unanimous support for further action to be taken on it”. Before Christmas, Provost Patrick Prendergast invited De Rís to present to council on the issue after it came up in one of their regular meetings. The working group will operate under University Council and the Senior Lecturer, Kevin Mitchell, will lead it, according to De Rís, who is included in the group. Proposals coming out of the group’s meetings will be fast-tracked, with the group hoping to present ideas at the next meeting of University Council.